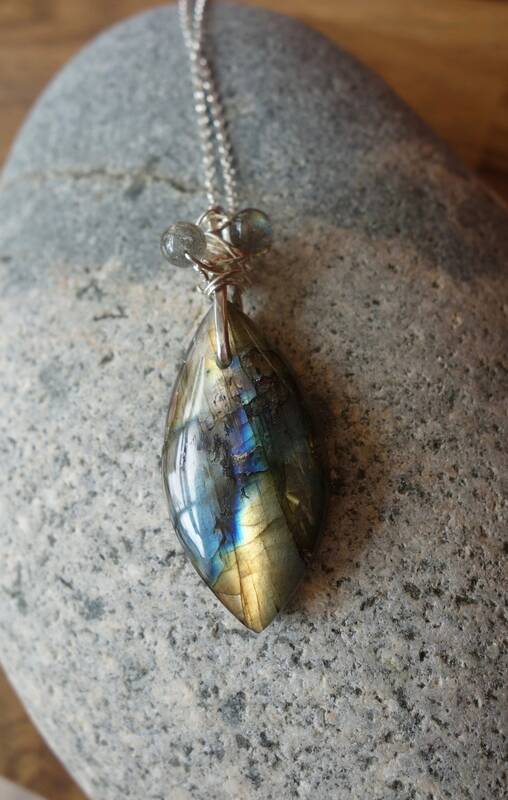 Silver Pendant with labradorite muticolore. For women. 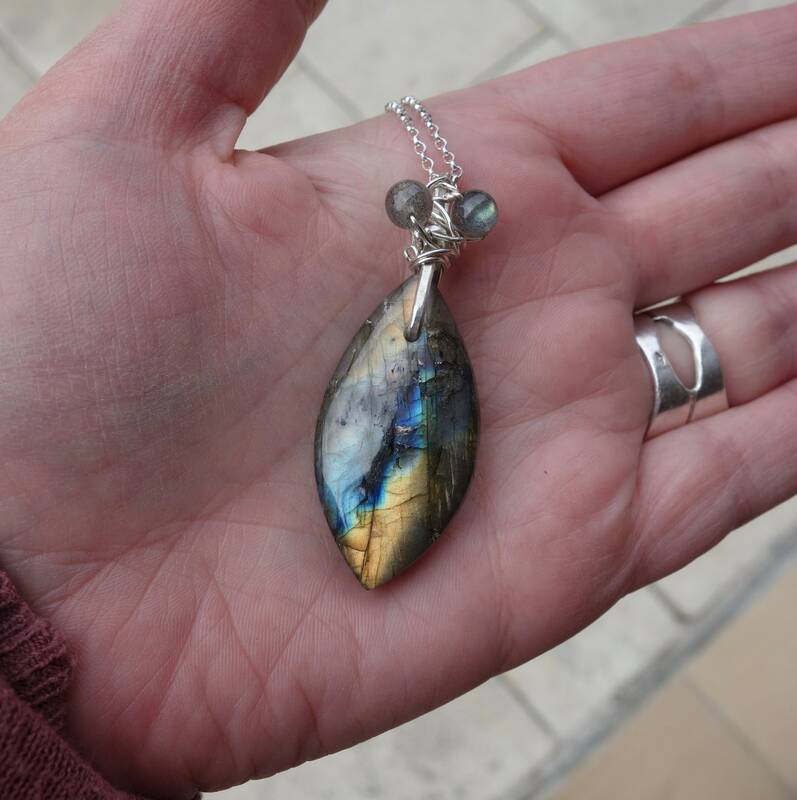 Sterling Silver 950/1000 silver with a natural labradorite with with blue and gold, round labradorite gemstone beads also adorn the turn of the bail. This jewel is particularly original and simple. Minerals and nature lovers will appreciate its simple and elegant aesthetic. It measures 5.2 cm long on a width of about 2cm for the widest parts. 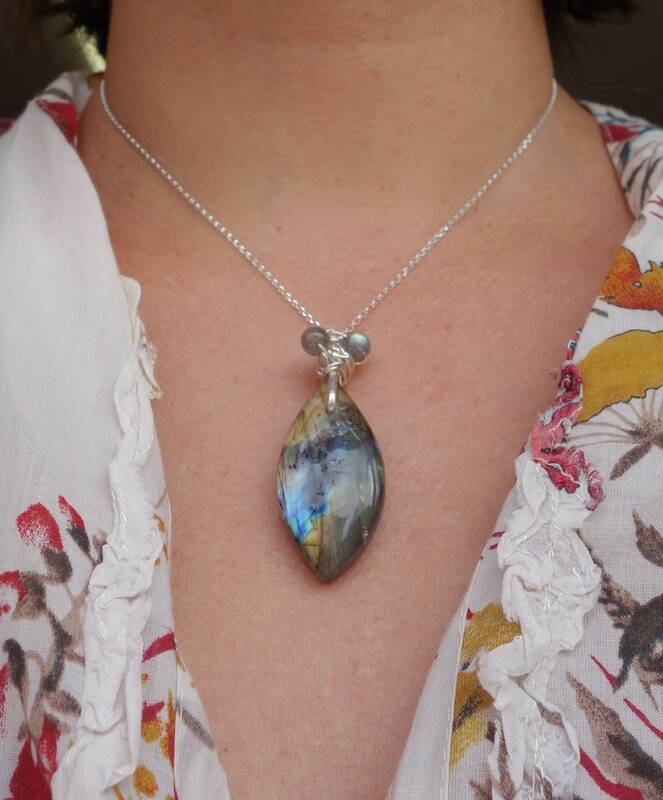 Labradorite is a natural stone with feature to have iridescence that seem "alive" in the light when you move the stone. 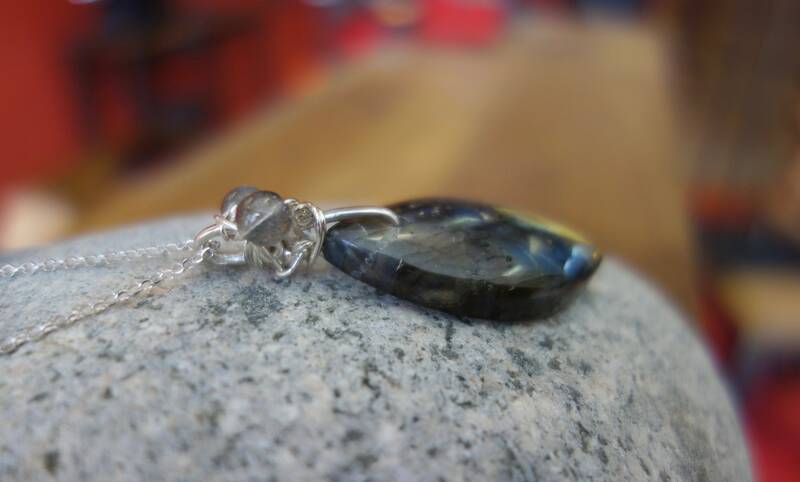 This gives the jewel a mystical and spiritual aspect. 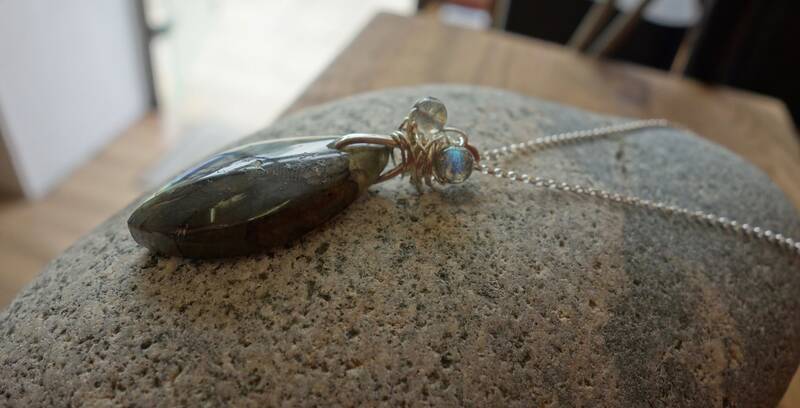 Artisan jeweler, this piece was crafted entirely by hand in my Studio. This is one of a kind.